On Wednesday this week, Senator Mark Udall (senator from Colorado), who is a member of the Senate Intelligence Committee, accused current CIA director John Brennan of being openly hostile towards their investigation in producing the torture report and called on him to resign. Further, he accused the CIA of lying. Let’s have a look. MARK UDALL, U.S. SENATOR (D-CO): Director Brennan and the CIA today are continuing to willfully provide interactive information and misrepresent the efficacy of torture. In other words, the CIA is lying. This is not a problem of the past, Madam President, but a problem that needs to be dealt with today. PERIES: On Thursday this week, Brennan had a press conference of his own, where he was asked the same question that Udall raised by an NPR reporter, Tom Bowman. Let’s have a look at that. TOM BOWMAN, PENTAGON REPORTER, NPR: Thanks for doing this. Tom Bowman, with NPR. I wonder if you could clarify something. You say here that “[w]e have not concluded that it was the use of EITs within that program that allowed us to obtain useful information from detainees subjected to them.” And then you say, on the following page, “(…) the Committee’s view that detainees subjected to EITs did not produce useful intelligence–a point on which we disagree.” So which is it? Did the EIT’s lead to useful intelligence? Or did they not? Or do you just–you said it’s unknowable. Which is it? JOHN BRENNAN, CIA DIRECTOR: What I said was that detainees who were subjected to EITs at some point during their confinement subsequently provided information that our experts found to be useful and valuable in our counterterrorism efforts. And the cause-and-effect relationship between the application of those EITs and the ultimate provision of information is unknown and unknowable. But for someone to say that there was no intelligence of value, of use that came from those detainees once they were subjected to EITs, I think that lacks any foundation at all. PERIES: Now joining us from Washington, D.C., to discuss all of this is Jonathan S. Landay. He has several Pulitzer Prize nominations, and he is a national security and intelligence correspondent for McClatchy newspapers based in Washington, D.C.
Jonathan, thank you for joining us. BRENNAN: Thanks for having me. PERIES: Jonathan, so what is your reaction to what Senator Udall charges and the response of John Brennan, the director of the CIA? BRENNAN: Well, it’s very hard to say, given the fact that I don’t have clearances and I’m not privy to the information, the documents on which the Senate committee’s report was based. I can only tell you that the Senate committee says that this program failed to elicit any meaningful intelligence vis-à-vis tracking down senior terrorist leaders like Osama bin Laden or providing intelligence on imminent plots. That’s something that CIA Director John Brennan disputes. He contends that the program, the so-called RDI program, rendition, detention, and interrogation program, did produce very valuable intelligence that helped track down terrorist leaders, including bin Laden, that helped disclose and block plots that were being prepared by al-Qaeda, and that the agency continues to use today to understand the internal workings of al-Qaeda. One of the more interesting things, though, that came out Brennan’s news conference was a statement that I’m going to have to paraphrase here, where he said that he wanted to make clear that the agency’s own reviews had not come to a judgment that the techniques themselves specifically where responsible for eliciting this information from the detainees who were held, for some cases, for several years in so-called black site prisons overseas, but that the program itself, the interrogation of detainees not necessarily using these particular techniques did in fact produce valuable intelligence. And that’s a bit of a retreat from what has been a consistent assertion by both the CIA, former Bush administration officials and former CIA officials, that these techniques, which a lot of people refer to as torture, specifically elicited this information. So Brennan seems to be backing away from that particular aspect of this. PERIES: Jonathan, at The Nation, people involved in this, the CIA and the committee all seem to be preoccupied with whether these techniques worked to obtain useful information. But isn’t the real question here the violation of the International Convention on Torture? BRENNAN: Well, I think a lot of people believe that that is the bottom line, and not just the International Convention on Torture. The United States adopted its own laws to be in compliance with that convention, of which it was a major architect. But there are also United States laws that would pertain to the mistreatment of detainees. And that is the question. But that’s not a question, I don’t think, that’s going to get resolved by any of this, because the committee itself avoided concluding that any laws had been broken or the international treaties had been broken, even though the chairwoman of the committee, Dianne Feinstein, the senator from California, wrote in the forward of the report that she believes that laws were broken by CIA personnel and treaties were broken by CIA personnel. The Obama administration has made it very clear that it has no intention of reopening a criminal investigation that was shutdown by the Justice Department in 2012. But there’s going to be pressure on the administration not just from U.S. human rights groups to do so, but there’s a lot of pressure now, a lot of calls overseas in countries that cooperated in this program, for them to reveal their roles in this program. And that is something that I think we’re going to see more of in the coming days. PERIES: Jonathan, what do you know of the pages that were redacted from the report? 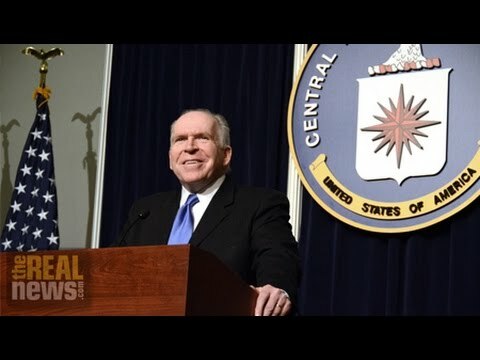 BRENNAN: There was a big fight between the CIA and the committee over the redactions which delayed the release of the report. There are something around the order of 9,700 pages of documents that the committee had wanted that are being sat on by the White House, ostensibly because they may involve executive privilege. The committee decided to go ahead and publish this report without looking at those pages. And I don’t think we’re ever going to see, unless someone leaks it, the complete 6,700 page complete report that was produced by this investigation by the Senate Intelligence Committee. That is classified, and that is not being released. PERIES: So one of the things that is abuzz in Washington is that Senator Udall could in fact read into the record what was redacted from the report. Is there any chance that he might do that? BRENNAN: He’s going to have to do it tomorrow, because I think tomorrow is the last day of the current session, and he failed to get reelected in November. So he’s out when the next Congress, which will be controlled by the Republicans in both houses, meets in January. PERIES: Right. So, Jonathan, thank you so much for joining us today.